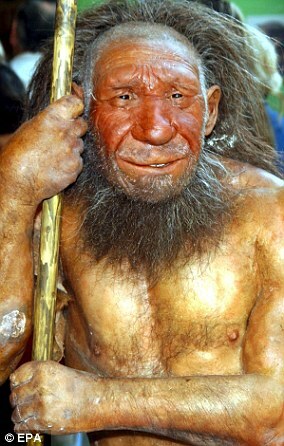 Neanderthal's living 120,000 years ago were forced to eat each other as climate change made hunting nearly impossible. Evidence claims that our ancient ancestors were forced to become cannibals as a warming world became absent of game for meat. 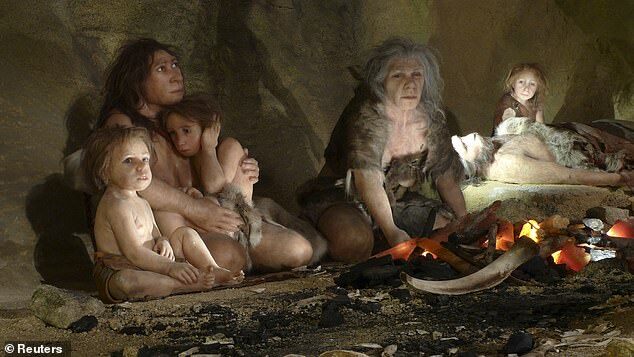 Scientists analysed the remains of six humans found in a cave in France, which was occupied by Neanderthals around 100,000 years ago. 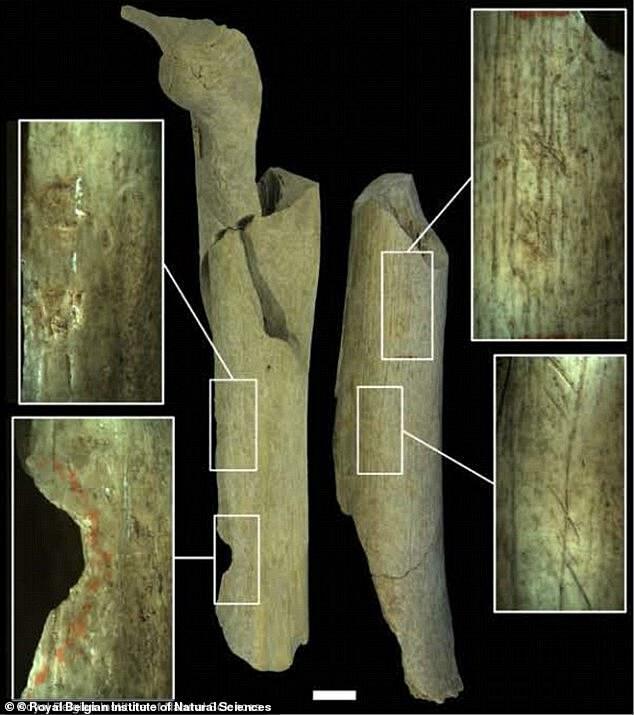 Neanderthal teeth marks were found on the bone fragments at the site pointing to evidence that they practiced cannibalism. The analysis also found evidence that they used instruments to smash open their skulls and bones to expose marrow and brains. They also found the hominids were battling prolonged and severe bouts of malnutrition from analysis of their teeth, lending credence to the study's claims. Twenty years ago, the remains of the now-extinct species of human were found in the Moula-Guercy cave in France, 80 meters above the modern Rhone River. Earth was transitioning form an ice age into a much warmer climate and the large animals hunted by the Neanderthals would have been the first to go extinct. There has been debate over whether the site was proof that starving and malnourished neanderthals hunted and ate each other as an act of dire necessity. Now, researchers at the French National Centre for Scientific Research (CNRS), say that their research is the 'best evidence' that the neanderthals ate each other. 'The work at the Moula-Guercy cave allows us for the first time to demonstrate the existence of the practice of cannibalism by European Neanderthals,' said Doctor Alban Defleur, of Université de la Méditerranée at Marseilles and CNRS. The six humans - two adults, two teenagers and two children - were analysed and experts claim it could have been murder of necessity to feed the masses. 'Cut marks are spread over 50 per cent of the human remains and distributed over the entire skeleton from the cranium, jaws, and bones in the hand,' the team wrote. The feast of their peers involved dismembering them and stripping their carcasses of all available meat. Analysis of the bones and teeth found in the cave shows the hominids were battling prolonged and severe bouts of malnutrition. 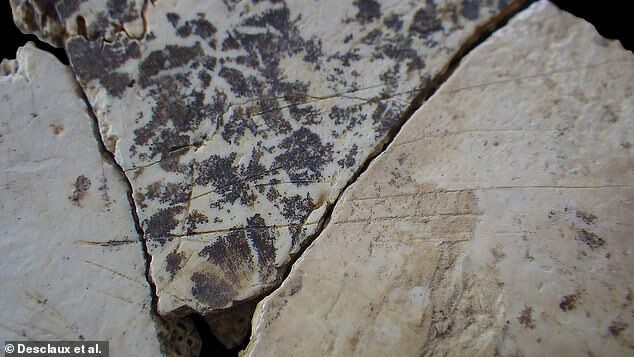 Evidence from chemicals found in these samples reveal they struggled to adapt as the world underwent rapid heating in the inter-glacial period. The knock-on affect would have been significant and, experts claim, enough to drive Neanderthals to cannibalism. 'The change of climate from the glacial period to the last interglacial was very abrupt,' palaeontologist Emmanuel Desclaux from the French National Centre for Scientific Research (CNRS) told Cosmos. This is not the first evidence that cannibalism existed among our ancient ancestors. Ancient bones discovered in the Goyet caves in Belgium similar gruesome butcheries carried out by Neanderthals more than 40,000 years ago. Researchers said at the time, in 2016, that the skeletal remains were the first known evidence of cannibalism among groups north of the Alps. They said that bodies were likely skinned and cut up, with bone marrow extracted. Four of the bones found at this site indicate Neanderthals even used the remains of their deceased relatives as tools. The new research paper is published in the Journal of Archaeological Science.